Professional close fitting gloves with touchscreen index fingertips. 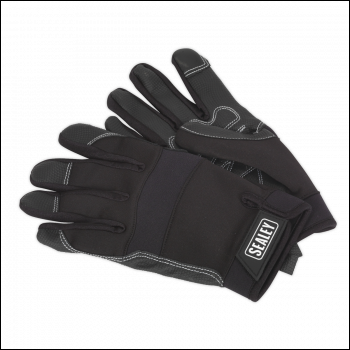 Unlike conventional mechanic's gloves, they allow precision control when working with small fixings and tools. Soft, breathable and durable with anti-slip palms. Washable materials. Professional close fitting gloves with touchscreen index fingertips. Unlike conventional mechanic's gloves they allow precision control when working with small fixings and tools. Soft, breathable and durable with anti-slip palms.